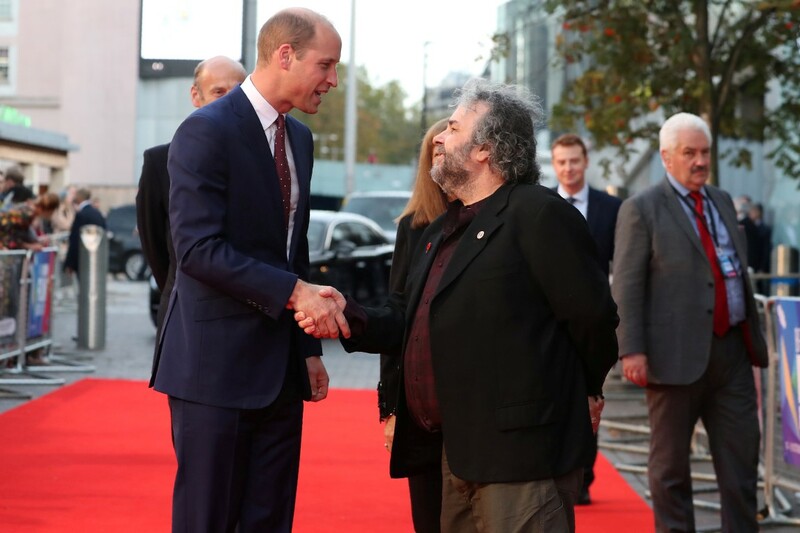 Kiwi director Sir Peter Jackson's World War 1 film has received five-star reviews after premiering in London today. To make They Shall Not Grow Old, Jackson, who is both producer and director, transformed 100-year-old footage from World War 1 into colour. The three-time Oscar-winning film-maker has taken footage from London's Imperial War Museum archives and carefully remastered it for the first time to mark the centenary of the conflict between 1914 and 1918. Over four years Jackson edited hundreds of videos to produce the final 90-minute piece which is narrated with interviews from 120 veterans, from 600 clips recorded in 1964. The film premiered at the London Film Festival and simultaneously in theatres across Britain, and reviewers were quick to praise this new kind of historical documentary. The Daily Telegraph said Jackson has "crafted an historical portrait of matchless immediacy and power, in which young souls lost in a century-old war stare out across the years and meet our gaze", giving the film five stars. "It is an encounter with the past that feels exhilaratingly present-tense." Reviewer Robbie Collin adds: "The carnage is depicted with total fearlessness and frankness: flies swarm on corpses, flesh is shown torn up like rags, soldiers are seen trembling with shell shock, while the shells themselves explode with terrifying fury and speed." Also giving it five stars, The Guardian's Peter Bradshaw says the effect of using technology to bring these soldiers unforgettably back to life is "electrifying". "The soldiers are returned to an eerie, hyperreal kind of life in front of our eyes, like ghosts or figures summoned up in a séance. The faces are unforgettable." The review goes on to say: "The colourisation, and everything else, is a kind of alienation shock tactic as well as a means of enfolding you in the experience. "It is an indirect way of reminding you that this really did happen to people like you and me." The Times said Jackson brings the soldiers to life in "the most extraordinary way", also giving it a rating of five stars. "Jackson combines cutting-edge special effects with impeccable curatorial instincts to bring the First World War to life in a way that outmatches and outclasses even the best efforts of movie fiction." Meanwhile The Hollywood Reporter calls it "haunting" and "moving". "The effect is both illuminating and eerie, especially when the reanimated ghosts onscreen make lingering eye contact with the camera." Guy Lodge from Variety says They Shall Not Grow Old is "head-spinning for its jolting animation of creakily shot battle scenes". "So dazzling transformative is the restoration of this footage that it may as well be the product of a movie shoot." The film's premiere attracted a star-studded crowd, including Prince William, who met with Jackson ahead of the screening. Alongside the UK cinema release the film will also be sent to every high school in the UK to be used for educational purposes. The documentary currently has no release or screening date in New Zealand.